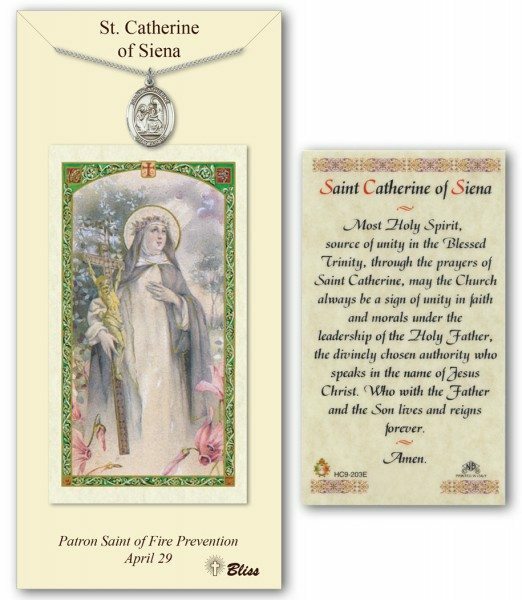 Saint Catherine of Siena was a great philosopher and theologian and is considered a Doctor of the Church. She is the patron saint of fire prevention, illness, miscarriage, Europe and nurses. At the age of 6, a vision of the Lord came to her and she became very spiritual.